Lurleen Lumpkin tries to seduce Homer, whose attire is a reference to the attire of Elvis Presley's manager Colonel Tom Parker. Her mobile home was given a confined design to make the scene more intimate and romantic. "I will not conduct my own fire drills". Everyone sits on the couch, and falls in with their legs behind their heads. "Colonel Homer" is the twentieth episode of The Simpsons' third season. It originally aired on the Fox network in the United States on March 26, 1992. In the episode, Homer embarrasses his wife Marge at a movie theater, leading to a big argument between the two. Homer, angry at Marge, visits a redneck bar in the middle of the night where he meets a waitress named Lurleen Lumpkin, a talented singer. Homer becomes Lurleen's manager and tries to make her famous, but he does not appear aware that Lurleen has fallen in love with him. With Marge already upset and thinking Homer is cheating on her, he must decide on the importance of his marriage after Lurleen makes romantic advances toward him. The episode was written by The Simpsons creator Matt Groening, and directed by Mark Kirkland. It is the only episode of the series for which Groening received an individual writing credit. American singer and actress Beverly D'Angelo guest starred in the episode as Lurleen. Although the character makes several cameo appearances after this episode, Lurleen makes her second full-time appearance sixteen years later in "Papa Don't Leech". The episode features cultural references to songs such as "There's a Kind of Hush (All Over the World)" by Herman's Hermits and "Funkytown" by Lipps Inc, and the films Deliverance, Honey, I Shrunk the Kids, and Look Who's Talking. Since airing, "Colonel Homer" has received mostly positive reviews from television critics. It attained a Nielsen rating of 14.8, and was the highest-rated show on the Fox network for the week it aired. The episode was selected for inclusion in a video collection of selected episodes, titled The Last Temptation of Homer, that was released on November 9, 1998. An action figure set based on "Colonel Homer" was released in March 2002, and two of Lurleen's songs from the episode appeared on the Simpsons compilation album Songs in the Key of Springfield. "Colonel Homer" was written by series creator Matt Groening, the first (and only) episode he wrote on his own. The episode's director, Mark Kirkland, said he enjoyed directing the episode because the characters' emotions throughout it are "very human and real". He believed many viewers watching the episode would recognize the emotions from experiences in their own lives, and would feel sympathy for the characters. The idea of Homer annoying the people at the movie theater was based on an experience Groening had with a friend of his when he was younger. They were sitting by themselves in a movie theater and two "annoying" women sat down right in front of them. Groening's friend told the women to move and they did. One of the women then turned to Groening and his friend and said, "Now are you satisfied? ", to which Groening's friend replied: "I won't be satisfied until I see you burn in hell." American singer and actress Beverly D'Angelo guest starred in the episode as Lurleen Lumpkin. The actress first met Groening at a party at Frank Zappa's house, and was called in to audition for Lurleen based on her performance as Patsy Cline in Coal Miner's Daughter. She got the role after completing a singing test. D'Angelo wrote two songs for the episode: "Your Wife Don't Understand You" (which Lurleen sings at the Beer 'N' Brawl where Homer hears her for the first time) and "I Bagged a Homer". D'Angelo wrote both songs in an hour and presented them to Groening at the episode's table read. Unlike most other guest stars on The Simpsons who record their lines and then leave to accommodate their schedule, D'Angelo stayed with the production team all day and pitched several jokes for the episode. Entertainment Weekly named D'Angelo's performance as Lurleen one of the sixteen best guest appearances on The Simpsons. Tom Nawrocki of Rolling Stone rated the songs D'Angelo wrote as two of the best songs in the history of the show. 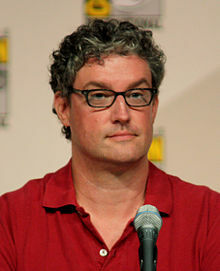 Show runner Al Jean says it is difficult to design real people with a "Simpson look", especially women. The episode marks the debut appearance of Lurleen on The Simpsons. She was created by one of the show's character designers, John Rice. Kirkland thought the first design Rice drew of Lurleen was too "bland" and "plain", so they decided to model her after D'Angelo and add "every kind of pretty girl cliché" into the design. Rice and Kirkland then sent the character to Groening, who sent back a note saying "wow". Reiss's show runner partner Al Jean said that "one of the most difficult things when translating real people to a Simpsons look is for women to look beautiful", as the Simpson overbite and facial construction make it particularly difficult to design women's looks. Lurleen's last name, Lumpkin, came from the country bumpkin character Tony Lumpkin in the 1773 comedy play She Stoops to Conquer by Oliver Goldsmith. Bart's voice actor, Nancy Cartwright, wrote in her autobiography My Life as a 10-Year-Old Boy that the episode's script gives the audience a "visual and aural feast". She said the background designers "must have gone on another field trip for this one" because they captured the look of a typical musical recording studio. The recording studio in the episode, where Lurleen records her new songs with the Simpson family, features two rooms, one for the artist and one for the engineer, with a pane of glass between them. Cartwright said the designers added their own "special touch" by putting a few cracks on the walls, designing a slightly dilapidated ceiling, and by making it look as if the soundproofing on the walls is falling off. The property designers went on a field trip to Sun Studio to receive inspiration for the props in the recording studio, such as the "in session" red light, the mixing board, the musical instruments, and the volume-unit meters that indicates how loud the artist is singing. For the interior design of the recording studio, the color designers mixed colors such as orange, mauve, gray, and brown to make them complement each other. The colors in the engineer's booth were darker to make Homer's white suit stand out from the background. The appearance of the engineer at the recording studio was based on John Boylan, an American music producer who produced the highly successful album The Simpsons Sing the Blues. Lurleen's mobile home was designed to be "very confined" and "tiny" so that the compositions of Homer and Lurleen would be tighter, thus giving the scene an intimate, romantic feeling. The episode's title and Homer's attire are references to Colonel Tom Parker, singer Elvis Presley's manager. Films playing at the Springfield Googolplex movie theater at the beginning of the episode include Honey, I Hit a School Bus (a parody of Honey, I Shrunk the Kids), Look Who's Oinking (a parody of Look Who's Talking), and a film called Ernest vs. The Pope which stars the fictional character Ernest P. Worrell. During his long drive to the Beer 'N' Brawl, Homer passes a boy playing a banjo on a porch, a reference to the "Dueling Banjos" sequence in the film Deliverance. The same boy appears later at the recording studio waiting in line with his banjo to record a CD. William Irwin writes in his book Philosophy and the Interpretation of Pop Culture that this "burst of banjo" must convey a message even if the viewers do not "get" the reference to Deliverance: "Thanks to prevailing connotations of banjo music, viewers who do not recognize the banjo tune as the theme from Deliverance will not laugh, but the mere sound of banjo tells the audience that Homer has entered a backward, redneck area." The Beer 'N' Brawl redneck bar is based on the bar in the film Urban Cowboy. The Beer 'N' Brawl sells Laramie High Tar cigarettes, a reference to the American cigarette brand Laramie. After arriving home from the Beer 'N' Brawl, Lurleen's song is stuck in Homer's head, and he even sings it to his bowling ball for good luck. Homer's co-worker Lenny decides to give it a shot and sings "There's a Kind of Hush (All Over the World)" to his bowling ball. Homer says that the last song before Lurleen's "Your Wife Don't Understand You" that he could not get out of his mind was the Lipps Inc song "Funkytown". The syndicated country comedy show that Lurleen appears on, Ya-Hoo!, is based on the country television series Hee Haw, which ran in syndication from 1971 to 1993. In its original broadcast, "Colonel Homer" finished 22nd in the ratings for the week of March 23–29, 1992, with a Nielsen rating of 14.8, equivalent to approximately 16.63 million viewing households. It was the highest-rated show on the Fox network that week. Since airing, the episode has received mostly positive reviews from television critics. Nate Meyers of Digitally Obsessed gave the episode a 5/5 rating and called it "another great" episode that chronicles the love between Homer and Marge, showing the "ups and downs" of their marriage. He said Lurleen's songs are "filled with clever observations", but it is Homer's befuddlement that makes it a "classic" episode. Meyers added, however, that country music fans might "take offense at Matt Groening's script, which hams up every stereotype imaginable". DVD Movie Guide's Colin Jacobson said that after the "great" previous episode "Dog of Death", "one might expect some drop-off with 'Colonel Homer', but virtually none occurs. It offers another classic episode that benefits from a memorable guest voice performance from D’Angelo. Homer’s moment in the sun creates a fun plot and the program nicely lampoons the country music business." The authors of the book I Can't Believe It's a Bigger and Better Updated Unofficial Simpsons Guide, Warren Martyn and Adrian Wood, said the episode is a "good example of The Simpsons fixing itself on a target (in this case, country and western music) and extracting every possible gag. Lurleen's songs are all marvelous." Hock Guan Teh of DVD Town said he enjoyed the episode, and although it does not contain the "usual amount" of The Simpsons humor, the "rich character development itself makes this episode worth multiple viewings. However, anyone allergic to country music should give this one a pass!" Bill Gibron of DVD Verdict thought the episode featured "one of the best" parodies the Simpsons writers have ever conceived, the parody of the country television series Hee-Haw called Ya-Hoo! : "While one must give multiple kudos to Beverly D'Angelo for writing and performing her own witty hillbilly ditties, it's the twisted cornpone [television series Ya-Hoo! ], with such stars as Big Shirtless Ron and Cappy Mae, that really propels this installment into comic heaven. Homer's sheepish response to Lurlene's advances shows just what a decent, family loving man he is." A reviewer for the Fort Worth Star-Telegram called the episode "heartwarming", and commented that The Simpsons "once again shows that at the heart of this crazy family there is an abiding love." Genevieve Koski of The A.V. Club said "it's a pretty impossible question for a die-hard fan, but if I were forced at gunpoint to name my favorite episode ever, 'Colonel Homer' would probably be the first to leap to mind, if only for the pure joy that is 'Bagged Me a Homer'." Lurleen has made several cameo appearances on the show after this episode. She appears for her second time in the season four episode "Marge vs. the Monorail", voiced by Doris Grau, as she is briefly interviewed by Kent Brockman during the monorail's maiden voyage party. When he asks her what she has been doing lately, she responds that since Homer left her, her personal and professional life have gone downhill. She looks dirty and scuffed up, and talks with a harsh, croaky, gravelly voice, rather than the soft, Southern voice she had when she was first introduced. Lurleen also has a cameo in the season four episode "Krusty Gets Kancelled" as the center square on The Springfield Squares, and appears in "Team Homer" as a member of the bowling team "The Home Wreckers". In the season seven episode "Bart on the Road", Lurleen's name can be seen briefly on a banner saying "playing tonight" in Branson, Missouri. She made her second full-time appearance in the season nineteen episode "Papa Don't Leech", in which the Simpsons family takes Lurleen into their home after she becomes a fugitive from the Springfield authorities for not paying her taxes. Compared to "Colonel Homer", Lurleen's comeback episode "Papa Don't Leech" received rather negative reviews from television critics. Richard Keller of TV Squad expressed dislike for the episode, stating that he hopes the show will reconsider the next time they decide to give a "solo opportunity" to a one-off character "many people don't remember". Robert Canning of IGN said, "there were too few laugh-out-loud moments in this lackluster episode. Overall, it was nice to see Lurleen again, but she'd probably get more laughs in future cameos than in carrying an entire episode." "Colonel Homer" originally aired on the Fox network in the United States on March 26, 1992. The episode was selected for release in a video collection of selected episodes, titled The Last Temptation Of Homer, that was released on November 9, 1998. Other episodes included in the set were "One Fish, Two Fish, Blowfish, Blue Fish", "Homer Alone", and "Simpson and Delilah". The episode was later included on The Simpsons season three DVD set that was released on August 26, 2003. Matt Groening, Mark Kirkland, cast member Dan Castellaneta, and show runners Al Jean and Mike Reiss participated in the DVD's audio commentary of the episode. "Colonel Homer" was again included in the 2005 DVD release of the Last Temptation Of Homer set. An action figure set based on the episode was released exclusively to Toys "R" Us stores in March 2002. The set, featuring Homer in his white suit and Lurleen with her guitar, is part of the World of Springfield series of The Simpsons action figures created by Playmate Toys. Lurleen's songs "Your Wife Don't Understand You" and "Bagged Me a Homer" appeared on the Simpsons compilation album Songs in the Key of Springfield, that was released on March 18, 1997. ^ a b c d e f g h Groening, Matt (1997). Richmond, Ray; Coffman, Antonia (eds.). The Simpsons: A Complete Guide to Our Favorite Family (1st ed.). New York: HarperPerennial. p. 85. ISBN 978-0-06-095252-5. LCCN 98141857. OCLC 37796735. OL 433519M. .
^ a b c d e Martyn, Warren; Wood, Adrian (2000). "Colonel Homer". BBC. Retrieved 2009-06-06. ^ a b Rose, Lisa (July 22, 2007). "In your face, America! - The First Family of animation comes to the big screen". The Star-Ledger. p. 1. ^ a b c d Groening, Matt (2003). The Simpsons season 3 DVD commentary for the episode "Colonel Homer" (DVD). 20th Century Fox. ^ Jean, Al (2008). The Simpsons season 11 DVD commentary for the episode "Guess Who's Coming to Criticize Dinner?" (DVD). 20th Century Fox. ^ a b c d Kirkland, Mark (2003). The Simpsons season 3 DVD commentary for the episode "Colonel Homer" (DVD). 20th Century Fox. ^ Burlingame, Jon (March 26, 1992). "Homer becomes country singer's manager". The Spokesman-Review. Retrieved 2009-06-06. ^ Merriman, Jennifer (September 26, 2003). "Small Screen". Reno Gazette-Journal. ^ Bruno, Mike (May 11, 2008). "16 great 'Simpsons' guest stars". Entertainment Weekly. Retrieved 2009-05-11. ^ Nawrocki, Tom (November 28, 2002). "Springfield, Rock City". Rolling Stone. Retrieved 2008-12-07. ^ a b c d Jean, Al (2003). The Simpsons season 3 DVD commentary for the episode "Colonel Homer" (DVD). 20th Century Fox. ^ a b c d Cartwright, Nancy (2000). "The Snap, Crackle and Pop". My Life as a 10-Year-Old Boy. New York City: Hyperion. pp. 234–236. ISBN 0-7868-8600-5. ^ Irwin, William (2006). "Allusion and Intention in Popular Art". Philosophy and the Interpretation of Pop Culture. Rowman & Littlefield. p. 77. ISBN 978-0-7425-5175-6. ^ Flower, Amy. "The Simpsons - Season Three". DVD.net. Archived from the original on 2009-10-09. Retrieved 2009-06-06. ^ "Nielsen Ratings /March 23–29". Long Beach Press-Telegram. April 1, 1992. pp. C6. ^ Guan Teh, Hock (August 21, 2003). "Simpsons, The: The Complete 3rd Season (DVD)". DVD Town. Archived from the original on March 19, 2006. Retrieved 2009-06-06. ^ Gibron, Bill (December 15, 2003). "The Simpsons: The Complete Third Season". DVD Verdict. Archived from the original on 2009-06-29. Retrieved 2009-06-06. ^ "Tonight's TV Highlights". Fort Worth Star-Telegram. July 30, 1992. p. 4E. ^ Koski, Genevieve (April 13, 2008). ""Papa Don't Leech" / "The Courtship Of Joseph's Father"". The A.V. Club. Retrieved 2009-06-07. ^ a b Idato, Michael (January 1, 2001). "TV previews". The Sydney Morning Herald. p. 14. ^ "Primetime Listings (April 6 - April 13)". FoxFlash. 2008-03-21. Archived from the original on 2008-03-29. Retrieved 2008-03-21. ^ Keller, Richard (April 13, 2008). "Papa Don't Leech". TV Squad. Retrieved 2008-04-14. ^ Canning, Robert (April 14, 2008). "The Simpsons: "Papa Don't Leech" Review". IGN. Retrieved 2008-04-15. ^ "The Simpsons - The Last Temptation Of Homer (VHS)". Amazon.com. Retrieved 2008-10-17. ^ Higgins, Mike (January 11, 1999). "On Air: Video Watch". The Independent. Retrieved 2009-03-28. ^ "The Simpsons - The Complete 3rd Season". TVShowsOnDVD.com. Archived from the original on 2012-10-18. Retrieved 2008-11-30. ^ "The Simpsons - Classics - The Last Temptation Of Homer (DVD)". Amazon.com. Retrieved 2008-10-17. ^ "TOYSRUS Exclusives". The Simpsons Action Figure Information Station. Retrieved 2009-05-29. ^ "Songs In The Key Of Springfield - Original Music From The Television Series". Amazon.com. Retrieved 2009-03-31. "Colonel Homer episode capsule". The Simpsons Archive. This page was last edited on 16 April 2019, at 09:02 (UTC).